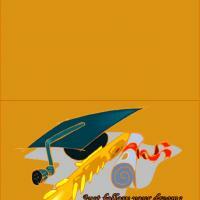 These printable Graduation cards feature a mortarboard, flute and diploma against an orange background. 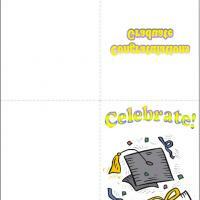 Here is a jazzy themed graduation card that will surely boost the morale of any new grad to follow their dreams. 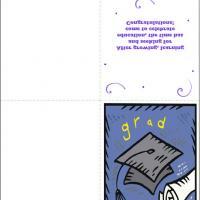 Print these free printable cards and send it to the graduate in your life. 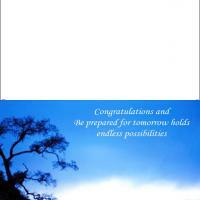 There is room inside to include a special personal message with words of encouragement, well wishes and pride. 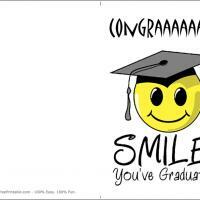 Give a good start to the graduate is ready to embark on a new journey to follow those dreams.